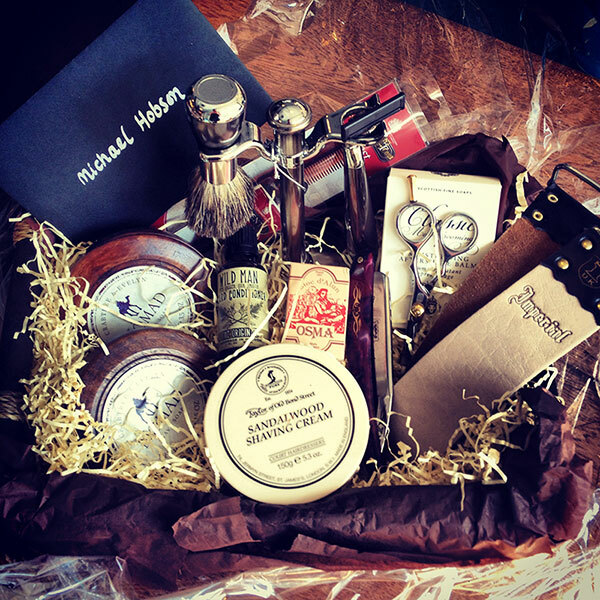 Badoo have delivered a peace-offering beard themed hamper to me as a way of apologising – thanks guys! Last week I received an email via Dribbble (the website that designers such as myself can post up snippets of things they are working on), that someone had sent me a work enquiry. Nothing strange about that – I get one every couple of weeks, and it’s a great way to get new work in from time to time. Plus, the person looking for designers gets to sample some of their work before they even make an enquiry. Currently, I work full time at Pollarize, a startup I co-founded, and I have no plans to take on a new full time job. However, I sometimes do a bit of freelance work to top-up my very modest startup salary. This particular work enquiry came from an address ending in @corp.badoo.com, and the “Talent Acquisition Manager” asked if I was looking for any new opportunities at the moment. After a few probing questions back and forth, we ascertained that contract work was an option, but they would ideally like someone permanent. The role in question was Lead Designer at Badoo. I had a look at the job spec, and asked more about the package, and next steps. – Create a fake female profile, and upload a photo. – Use Badoo to get a feel for the product. – Design a solution to the issue they outlined. Part of me understands why they did this. They want to see how people tackle a UX issue, and narrow down applicants based on this. But a bigger part of me felt both suspicious and insulted. Without going into the whole “create a fake female account” request (are Badoo struggling to meet female MAU targets? ), the whole thing stank to high heaven of spec work. Spec work, for those unfamiliar with the concept, is short for speculative work. Spec work can come in many forms – crowdsourcing contests (whereby a company will put out a brief for a logo design for example, and have designers compete to design the best logo. Only the chosen designer gets paid, and everyone else gets a few hours/days of wasted time), generic spec requests (“I’ll pay you when the work is done, and only if it’s good enough”), and now, as I experienced, precluding job interviews. Why is spec work bad? Lots of reasons. – Designers have to commit time to work, with no guarantee of compensation. – Design contests encourage price undercutting – an act which is devaluing the profession. – The client is establishing a negative relationship by saying “I don’t trust that you’re good enough”. I don’t do spec work. I never plan to do spec work. Not even for your high profile startup with loads of money. It’s a negative trend, and a trend which is worryingly becoming more common. How many people had Badoo asked to do this? How many free design solutions had they already received? How many fake female accounts were on their dating website as a result of shoddy recruitment tactics? Also, wait a minute – these guys had contacted me via Dribbble! They’ve seen my work, (or at least snippets on Dribbble), and if the “Talent Acquisition Manager” was doing his job properly, he’d have had a look at my portfolio too, which was clearly linked to on my profile. Or at the very least, passed on good potential candidates to the hiring manager, who could then trawl portfolios for decent professional designers. Needless to say, I replied, hoping to provide some UX feedback on their hiring process instead. “Thanks for getting back to me. I had hoped to find out a bit more about the package (monetary and other) before going further. I’m also a little bit perturbed by Badoo’s hiring methods – this kind of spec work interview process usually rings alarm bells for me. While I understand your desire to get a feel for a candidate’s skill set and UX capabilities, I would have hoped that my portfolio spoke for itself. Especially considering you approached me through Dribbble. Understandably, you want to see how I perform on a specific task, but unfortunately, I don’t have time to complete spec design work at this point in time. As far as the brief itself goes, it seems like I would need to use the website actively for at least a few days to entice messages to be sent to my dummy account – solving a UX issue with a “blank”/”virgin” account seems somewhat counterproductive to me. Surely, a better method would have been for you to create a dummy account for candidates in advance, which was already populated with friends, messages, etc. This way, I would have a better understanding of how an “active” account felt, and would be better able to understand the UX issue at hand. As a bonus, you would also not have a bunch of fake accounts created as a result of an interview process. I would love to come in for an interview, but I cannot afford to spend time working on this, when it would require a few days of my work to bring an account to the necessary starting stage to properly understand the issues, before I even began designing. Spec work is bad, and you should feel bad, Badoo. It has to meet all those points for me to pass on it. Well done Mike. Yes, the job market is tough and some employers have adopted a “buyers’ market” approach, but that doesn’t mean they should carry on in this sort of manner. I got approached for this role too, but (aside from the fact that I wasn’t looking either) rejected it on principle. Badoo is one of those awful blackhat brands that anyone principled should steer clear of. Sounds like your experience bore that out. Well said! And good for you for sending along that response. I find the entire job searching process a bit of a waste of time in this regard as well. I am especially annoyed by the trend for companies to use a ‘new and improved’ application process that takes hours for the user to transfer each line item from existing materials, such as a CV or cover letter. After said hours are spent on the application, it’s typical to get a response something along the lines of ‘due to the high volume of applications we receive, we cannot reply to individual applications’ or ‘we have already filled the roll, but thanks for applying’. Really? Then why did you just waste hours of my time in filling out the application? I am in a similar situation as you – currently employed but open to opportunities. But it all gets a bit annoying really. Wonderful response. I’m curious as to how they reacted? Just wanna says thanks for posting this! Gesh I was just recently asked to do a exercise for a contract role that’s part time!! I’ve been given zero insight into the business needs of the product or the desires of the audience. I have no way of knowing what the goals of any redesign might be; the best I’d be able to do is apply straight heuristics and determine what areas might be brought to a baseline of usability. So I’m basically set up for failure. I feel it as though they think you can just churn out ideas oh and of course free of charge. Ask a musician to write a exercise song or how about a painter do a painting. It’s a disservice to designers. Bring them in for a half day and actually pay them and spent the time to do it right. I’d rather talk through my problem-solving process, or tell them how I approach my work. The idea connected with accreditation, cash, and also noteworthy stature mustn’t be the basis connected with picking your collegiate route to education. Education should be determined by ones capacity to obtain, hold on to, and also make use of education. Students are always in a situation to tackle new things but teachers are always there to help them out and thats what online services are doing now a days.